When you’ve trained as hard and long as is necessary for professional ballet — the kind that tours and competes internationally — a career change to gaming seems pretty out of the blue. 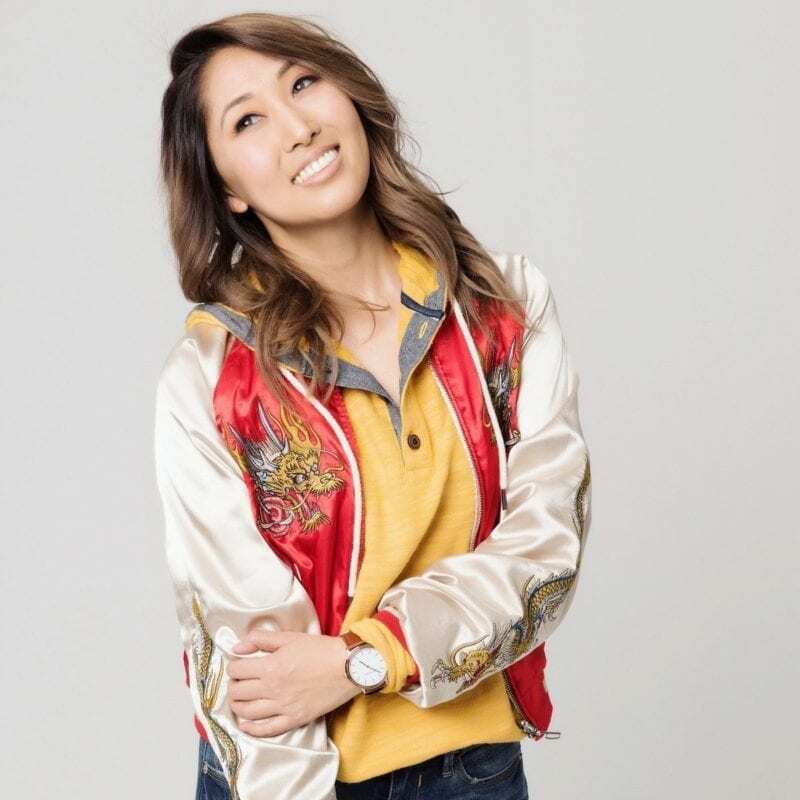 But for Mari Takahashi, going from prima ballerina to YouTuber and gamer has meant an expression of creativity and fun she’d always had, now hosting, writing and producing for SMOSH Games. Since joining SMOSH as their first female cast member, she has been key in front of and behind the camera to the YouTube staple’s expansion, hosting Smosh Pit Weekly and MariCraft. In 2017, she won “Best Gaming Channel” at the Streamys and Forbes named her one of the top ten gaming influencers as part of their The Business of Influence series. But more than that, Mari has risen as an example beloved, especially by young female gamers, of how a drive to work hard and a love of the game create the best path to success. When did you know it was time to transition out of dance and into another career? Mari Takahashi: I don’t think there was ever a clear specific moment; it wasn’t like this movie style spotlight “a-ha!” of a moment. It was 2.5 years of trying to juggle multiple jobs, continuing my ballet career and jumping into a YouTube gig that was blossoming into a career without me understanding or knowing it. It was having a supportive team that communicated to me that having more time at SMOSH would be beneficial for all of us. Having the assurance from my team gave me the confidence to make the leap. Was it scary to take the leap? MT: Absolutely. I had set up my entire life for one track only and that was to dance until my hips broke and teach ballet until I died. But it was the best life lesson to realize that we’re living in a generation that supports multiple career tracks, taking risks and following many diverse passions. Was the Internet a big part of your life growing up? MT: I wasn’t online until middle school so I was able to live my adolescence being analog, playing outside and engaging with my friends and family face-to-face. The first moments of hopping onto AIM chat and discovering what it’s like to connect with people across the world through forums and websites opened up a completely new world of human interactions. How does either its absence or presence affect how you engage with it now? MT: I’m grateful to have known a life completely with and without the internet. I think it helps me disengage when I need to and understand the importance of its absence at times. I also understand its value in what I do in my career but also how I engage with people, build a community, learn and grow. Did you ever have stage fright as a ballerina and/or as a YouTuber? If so, how did you deal with it? MT: Yeah, I absolutely had stage fright. It would be a rollercoaster of sometimes feeling that way and sometimes feeling completely confident stepping out on the stage. Understanding that there is a rollercoaster of emotions in any situation and there’s a necessity to improvise has helped me as a YouTuber, an entertainer, and an entrepreneur. I’m aware that, no matter what, the show must go on and you’re in control of it. It was the best life lesson to realize that we’re living in a generation that supports multiple career tracks, taking risks and following many diverse passions. Have you found that women, in particular, shy away from labeling themselves as “gamers”? Do you think the stereotype of gamers is changing and if so, what do you think is the leading cause of that? MT: My perspective is that we need to normalize women as gamers, and just refer to everyone who games as gamers, and not put them into buckets based on their gender identity. I think we’ll be able to shift the paradigm even more if we focus on the fact that the one thing that brings us all together is the love for gaming. Stereotypes are being broken because there’s a lot of different games and game mediums; it’s as common and accessible as watching a movie or your favorite TV show. We’re also in a generation where any form of “play” is encouraged, whether you’re an 8-year-old girl or a 90-year-old man. I believe it’s going to continue to be a major part of our everyday lives. What surprises (or doesn’t surprise) you about how community forms in the gaming world? MT: I’m not surprised by the diversity of the gaming world. I’ve engaged and connected with the most eclectic groups of people on the planet based off of our common love of gaming or a certain game – and I think that’s beautiful. For example, I walked into a random papyrus shop in Cairo, Egypt and held an enthusiastic conversation with the middle-aged, slightly curmudgeon owner of the shop about Assassin’s Creed. He ended up being a die-hard fan of the franchise. This is just one of the many reasons why I’m stoked to be involved in the gaming community. You went very offline and competed on “Survivor.” How did your sense of self change before and after living on the island? MT: It wasn’t so much about being offline that changed my perspective. I realized that stripped of everything that I have back home, I’m actually a very introverted and shy 16-year-old kid. It was an extremely humbling experience and it softened me. I was ready for war going in and I came out with a bigger picture perspective and grateful for the little things in life. There is increasing discussion today, especially within women’s media, about the need to collaborate over compete. As an athlete and gamer, where competition most likely means something very different, how do you define healthy competition versus it being something divisive? MT: I think learning that there’s enough for everybody was a very big lesson in life. The world is abundant and there’s opportunities everywhere, you just need to know where to look and put that responsibility back on yourself. Embracing everyone’s talents, no matter if they are similar or different than yours, is super important and at the end of the day, makes everything so much easier. You know the saying, a rising tide lifts all boats! So many young women today feel like they need to know right now what to do with their lives and feel the pressure to be immediately successful at it. How would you encourage a younger generation to take their time building a career? MT: I think it’s important to shift your perspective and realize that what you see online is not a perfect representation of someone’s life, career or happiness. We all fail on a regular basis and it’s so important to embrace and learn from that. Personally, I’m a late bloomer and didn’t even start figuring things out until I was 25. Some people figure things out when they’re 8; sometimes they’re 55. As long as you’re continually striving for what you’re passionate about, showing up, and being open to opportunities even if they don’t immediately look golden, you’ll do just fine. And also, don’t be a jerk. What surprise pathways have your dreams taken you on?